I was only 22 when I met my stepson, then 8 years old. He was a blue-eyed, blonde-haired explosion of energy. I immediately fell in love with this little guy and his father. When my now husband and I began to talk about marriage, it took a while to figure out what being a stepparent meant for me but also for everyone who was important in my stepson’s life. I had to figure out my place as his mother figure, but also remembering that he had a mom already. 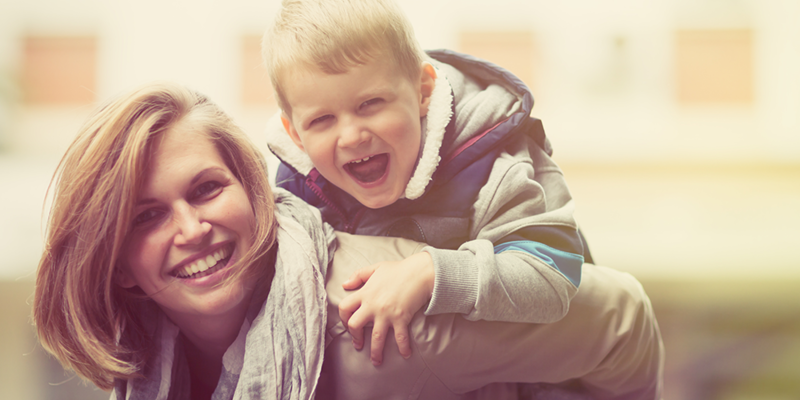 Being a stepparent means loving the child as your own. Even if you did not create them, when you married your spouse, that child became a part of you. There is no separation. Parents and children come as a packaged deal. You will have to talk with your spouse about all of the issues biological parents talk about from the beginning: rules, discipline, religious preferences, etc. Being a stepparent means investing your whole self into the relationship with your stepchild, just as you would with your spouse. Being a stepparent means being there. For the good times and for the bad. In sickness and in health, as the vows go. When you say those words to your spouse, also mean them for your stepchild. Be there for every high and every low. Every boo-boo and every heartbreak. Even if you stepchild may not be incredibly receptive at times, even throwing out a “You’re not my real mom/dad!” Be there anyway. Being a stepparent means remembering and respecting your step child’s other parent. When I married my husband, I made the commitment to my stepson as well. I knew I loved him as my own and that he was, from that day forward, mine. But he was also hers and he was hers first. Being a stepparent is knowing not to try to replace the other parent. Even if your opinion of the other parent is a negative one, your stepchild will always be a part of them. I am blessed to have a great relationship with my stepson’s mom, and fortunate that she is an incredible mom. My goal is never to replace her. He doesn’t need me to. He needs me to be there in the in between. An objective third party. He knows he has his mom but also someone else who loves him as his mother.